Located on the San Solomon Springs in Reevs County, Balmorhea State Park is all the time crowded with turtles, fish and scuba divers. 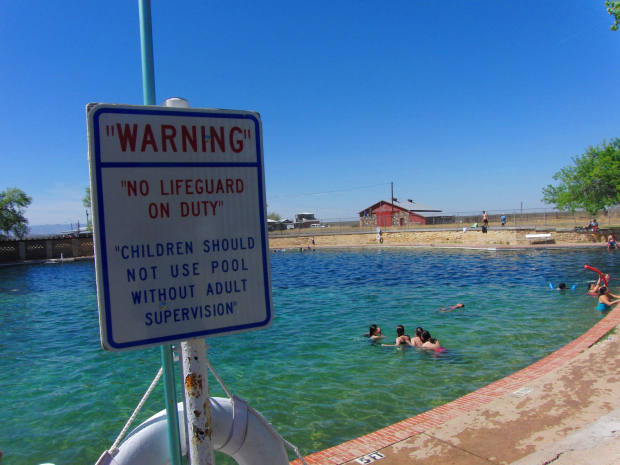 The world’s largest spring-fed swimming pool was built in 1930’s by the Civilian Conservation Corps. The CCC also built san Solomon Spring Courts, which hire charges for rooms for night stay. With strikingly clear water and depth up-to 30 feet, the place is ideal for both scuba diving and swimming. Constructed on 45.9 acres in the foothills of the Reevs County, the park was opened in 90’s. Do you know that nearly over 23 million gallons of water a day flows through the pool meaning it needs no chlorination? The surrounding Chihuahuan desert features the little in the way from the sun, but up from the earth rushes the springs in Balmorhea, at over 1 million gallons an hour escorting life to the semi arid region. The CCC operated from 1932 to 1942 and employed thousands of men to work, unskilled labors on state parks developing the country’s natural resources. It’s interesting to find that the space and the pool is all the time filled with sun-bathing parents and scuba divers are enjoying the clear water that go up to 20 feet in depth. Located about 5 miles west of Balmorhea, the park was constructed by CCC between 1936 and 1942. The CCC was established as a program by President Franklin D. Roosevelt as a way to employ unskilled labors. Many of the state parks in Texas were constructed during these years only. The Balmorhea State Park Cienega Project which revamped a desert wetland won the title “Texas Quality Initiative Award” in 1998 from the Texas Department Transportation and its partners. 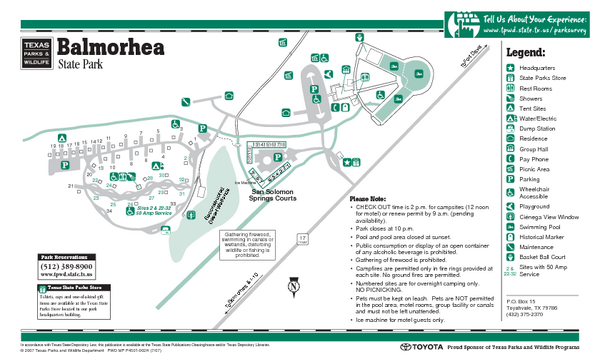 The Cienega now serves as a fascinating habitat for aquatic birds, life and other animals, besides this, the park also serve as a tourism attraction from Balmorhea State Park. The site has long attracted people; Spanish wanderers, U.S Soldiers and American Indians watered up here long ago before the wetland turned into a spring-fed pool in 1930’s. The swimming pool at the Balmorhea Springs which was once the bath house and cabins is now transformed to stucco covered motel in the park. A motel style lodging with a Southwestern look which has cable, electric and water at each site. In addition, to this, there are tent camping sites and RV available at $ 17 per night. After having your dinner you can have a walk in the park, walking in the dark just the way everybody likes it. 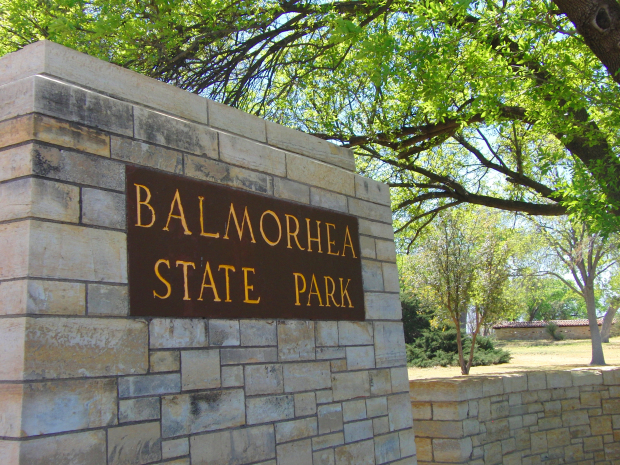 Before you plan a trip to Balmorhea State Park make sure that you have gone through its entry fees and nearby adventure spots to make your trip more memorable. The pool uses in the state park cost nearby $7 per day for anyone 12 or older. While $70 will allow free admission for you and your family for a year. The park opens at 8 a.m. and closes at 8 p.m. You can also reserve the motel by contacting them through phone. In addition to the Balmorhea State Park, you can also catch a glimpse of Davis Mountains State Park, Anne Riggs Museum, McDonald Observatory and Sul Ross State University located just a mile away from your destination. Note: the pass office closes before the pool does, ensure that you have check the happy hours before heading.